Trends come and go in this fast paced fashion industry. Sometimes they are ephemeral and others continue to be adapted from season to season. Given this ever-changing state of the industry, it can be hard to stay on top of the latest trends, let alone knowing about future trends in advance. However, through my years of being hurtled into blogging and fashion, I have established some go-to resources for scouting out the trends before they happen. And they have become a great means of keeping my wardrobe relevant and ready for what’s to come. If you’ve been wondering how you can get a head start on trends before everyone else, here are my go-to resources for trendspotting. Whether you happen to be in attendance or are simply streaming the runway shows online, this is the best way to see what will be trending next season. High-end designers have made it this far for a reason. As insiders, they know what’s happening behind-the-scenes and choose to debut their knowledge on the runway. To really become a student of the business, it pays off to keep up with these fashion shows. Observe common themes among the collections and the ones continually repeated have a good chance of being a hot trend. 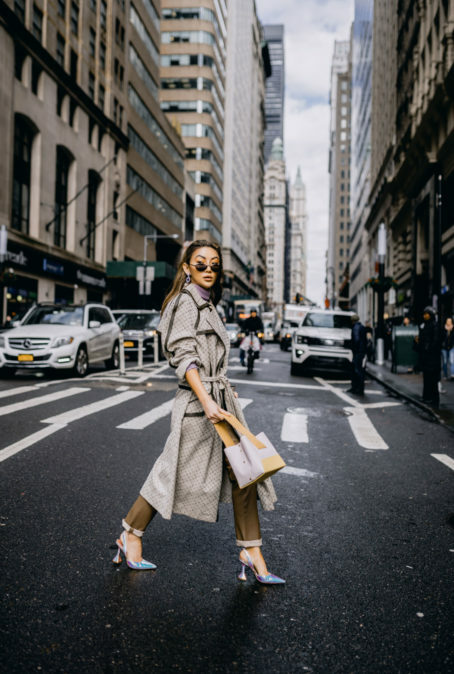 If you wake up and take the time to browse through your Instagram feed, you should also schedule in some time to check up on some trend forecasting websites. I continually check out Women’s Wear Daily (WWD) and WGSN. They are the masters when it comes to global projections and I am able to learn so much about upcoming trends, the politics of fashion and everything else in between. If you want a more easy, entertaining read on projections, you can’t go wrong following alongside the mastheads, such as Vogue and Harper’s Bazaar. Although mainstream, you’ll pick up on at least 80% of trends before everyone else. 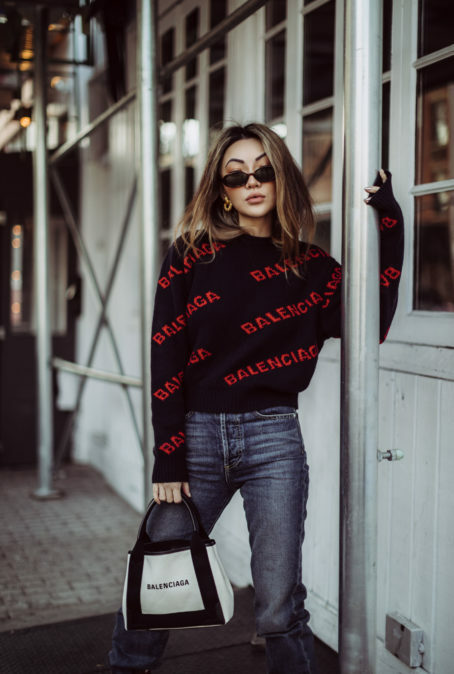 influencers, and celebrities to get a proper gauge of the fashion world as a whole. I find that superstar celebrities like the Hadid girls and the Kardashian family are great ways to get a preview of trends that will blow up. That’s usually because they are so well connected and have access to the best and elite names in the industry. Therefore, they can usually get this information before the rest of us. Also, keep in mind that the world is super global and frankly, here in the U.S., we’re usually slower when it comes to fashion. Don’t be afraid to look outside your comfort zone to Europe, Korea, and Japan for style inspo that could gain traction. This is where international stylists and fashion icons come into play! I’ve always loved the Italian girls like Gilda Ambrosio and Giorgia Tordini. As with any trade or business, the best way to become a connoisseur is to find ways to immerse yourself in the industry. I can’t recommend going through the above resources enough. If you continually keep an open mind and act as a sponge to what’s going on in the world around you, trendspotting will come naturally!